Peter Bellwood is an Emeritus Professor at the Australian National University, which he joined in 1973, retiring in 2013. He has undertaken archaeological research in Polynesia and Island Southeast Asia and is currently involved in projects in Vietnam, Indonesia, and the Philippines. His most recent books include The Global Prehistory of Human Migration (edited, Wiley Blackwell, 2015), First Migrants (Wiley Blackwell, 2013), Prehistory of the Indo-Malaysian Archipelago (3rd edition, 2007), First Farmers (Wiley Blackwell, 2005), and Southeast Asia: From Prehistory to History (co-edited, 2005). 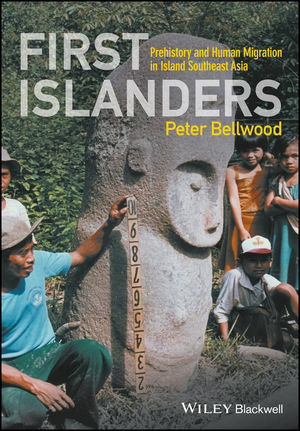 Peter Bellwood is a Fellow of the Australian Academy of the Humanities and a Corresponding Fellow of the British Academy.